Although the Sierra name was first used in the 1980s, the modern heavy-duty version of the GMC Sierra really came into its own at the beginning of this century. Since it was first introduced, the HD series of Sierras has come to dominate the road as some of the most powerful and impressive heavy-duty pickups around. The 2019 GMC Sierra 3500HD is the pinnacle of pure power and performance available from GMC and is one of the best workhorse trucks we have ever seen. There are several different Sierra models available, but the 3500HD is for truck owners who need the most trailering capacity, the biggest payload, and the most power they can possibly pack into a pickup. This model is available in either a single or dual rear-wheel configuration, along with different engines to choose from and numerous trim levels. This means you can find and setup a GMC Sierra 3500HD with exactly the kind of specs and features you want and need. They have pulled out all the stops with the 2019 GMC Sierra 3500HD in terms of technology features and safety options. As you look at different trim levels available, keep an eye out for larger touchscreen displays with available Navigation technology and more luxurious interior touches. If safety is one of your main interests, and it should be, then you’ll be happy to know the Sierra 3500HD has a huge suite of available safety features to make sure you and your passengers are protected. If you’re interested in the 2019 GMC Sierra 3500HD, then that means you’re looking for a heavy-duty pickup that can handle pretty much anything you throw at it. We understand that – we’re fans of hard-working trucks that can haul loads of building materials all week long and still have strength enough to enjoy the weekend. That’s why the engines available in the Sierra 3500HD are so impressive, and we’re happy to see the level of power and performance that has been packed into this beauty. It starts with the standard Vortec 6.0L Variable Valve Timing V8 SFI engine that provides up to 360hp and 380 lb.-ft. of torque. This engine is FlexFuel E85 capable, which means it can use E85, a blend of ethanol and regular gasoline in case you are interested in something that can work with alternative fuel. If you really want something different, there is another version of this engine available that provides the same power but is capable of running on CNG/LPG, which is Compressed Natural Gas and Liquefied Petroleum Gas – so you have several options depending on your needs. 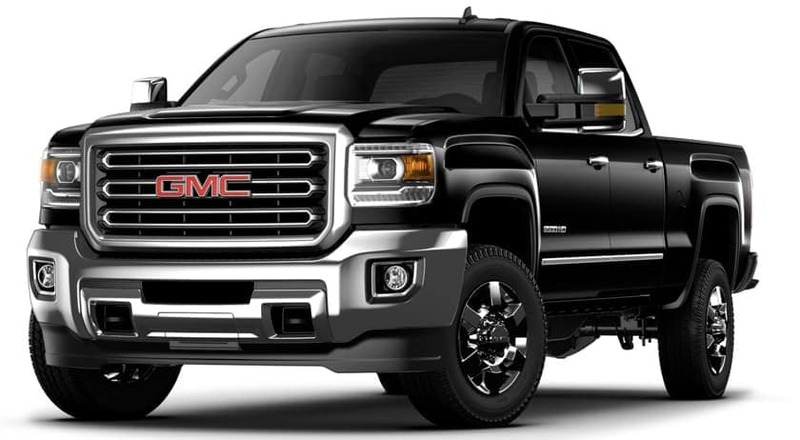 Of course, if you really need the most power possible, then GMC has you covered with the available Duramax 6.6L Turbo-Diesel V8 engine, which is an absolute monster that provides up to 445hp and an amazing 910 lb.-ft. of torque. With this engine packed into it, the 2019 GMC Sierra 3500HD becomes the perfect workhorse for any kind of job, whether you’re hauling lumber across town or pulling a camper full of coolers and camping equipment up into the mountains. The Duramax engine comes with an Allison 1000 6-speed automatic transmission and is B20-Diesel compatible. Choosing the 2019 GMC Sierra 3500HD means you are choosing the power and performance to haul anything you need anywhere you need to go. While the standard Sierra and the 2500HD are great in their own right, if you want a truck that can truly handle anything you throw at it then the 3500HD just can’t be beaten. It proves itself as a heavy-duty pickup and gives you enough towing power that you can tackle any job or task you have in mind. The 2019 GMC Sierra 3500HD has a maximum conventional trailering capacity of 20,000 lbs., more than 5,000 lbs. more than the 2500HD. If you use a fifth-wheel or gooseneck, then that rating goes up to a maximum of 23,100 lbs. of truly incredible towing power. The maximum total payload in the bed of the Sierra 3500HD is an astounding 6,112 lbs. when properly equipped. Unlike other Sierra models, the 3500HD is available in a dual rear-wheel configuration, which is responsible for a lot of that increased payload and power. Keep in mind that the maximum Gross Vehicle Weight Rating for the 2019 GMC Sierra 3500HD is 13,025 lbs. While that should be enough for the vast majority of truck owners, it’s worth considering when planning out your payload options and deciding on how to haul whatever cargo you have. The Sierra 3500HD is only available with a crew cab, but it can come with either a standard or long box, depending on how much storage you need in the bed of your truck, and either two-wheel or four-wheel drive. The 2019 GMC Sierra 3500HD is no slouch when it comes to technological innovations throughout the truck, and that includes in the luxurious interior. You might notice that there are 8 different trim levels available for this truck – but really there are 4 levels which are available for both single and dual rear-wheel configurations. As you go up in trim level, the available features increase and many of the optional tech improvements become standard and included at the SLT or Denali trim level. For example, the 2019 GMC Sierra 3500HD Denali comes with an 8-inch Infotainment system that includes Navigation and support for both Apple CarPlay and Android Auto. The Denali also features a 7-speaker Bose audio system that creates an incredible audio experience, along with Bluetooth functionality for both phone and music streaming, and several USB ports and an auxiliary input. You get several power outlets as well as the USB ports for charging devices, and there is an available wireless charging pad, which is standard in the Denali and charges compatible devices without a cable connection. A heated steering wheel with audio controls is available, as are heated and ventilated seats, which come standard at the Denali trim level. There’s even an available 8-inch color Driver Information Center that provides information directly to the driver, which is customizable and can include details such as fuel economy, tire pressure, and vehicle speed. Dual-zone automatic climate control keeps everyone in the 2019 GMC Sierra 3500HD comfortable and an auto-dimming rearview mirror helps prevent glare from vehicles behind you. All the luxury and technological features in the world are meaningless if your truck doesn’t also do everything it can to keep you safe while you’re driving. Fortunately, the 2019 GMC Sierra 3500HD includes a wide range of safety features designed to ensure you and your loved ones are protected on the road. Many of these are standard or available at certain trim levels – while the Denali is packed with just about every safety feature GMC offers. In addition to 6 airbags and a rear vision camera that helps improve rear visibility for the driver, there is also a StabiliTrak system to help maintain stability during emergency maneuvers. An available front and rear park assist system helps the driver at low speeds by alerting you about nearby objects, while a forward collision alert can detect the possibility of a front-end collision and alert the driver of this danger. Available lane departure warning alerts you if you begin to drift into another lane, and the available safety alert seat lets you feel these warnings through the seat itself, rather than relying on an auditory alert. There is also a Teen Driver safety system available with the 2019 GMC Sierra 3500HD, which is perfect if you plan on having a teenager learn or develop driving skills in this truck. This system is tied to a specific key fob and automatically activates different safety features when your teen driver is behind the wheel, to help keep them safe and minimize distractions. There is even an in-vehicle report card that you can view to see how your teenager is doing behind the wheel, making it easier to spot areas that need improvement or coach a teen driver on safe habits. Come See the 2019 GMC Sierra 3500HD Today! Believe us when we say that reading a description of features and looking at pictures is nothing compared to actually sitting in the new Sierra 3500HD and feeling its unbridled blend of luxury and power. No words can do it justice. 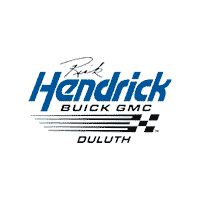 At Rick Hendrick Buick GMC Duluth, we understand that buying a new truck can seem like a hassle – and a lot of other dealerships over the years have made many customers uncertain of the truck-buying experience. That is why we treat every customer who walks onto our lot with the greatest respect, honesty, and straightforward integrity – just like we would want to be treated if we were buying a new truck. Come to Rick Hendrick Buick GMC Duluth and see how much fun shopping for a new truck can be – and feel for yourself just how powerful the 2019 GMC Sierra 3500HD really is.